Cordless convenience with an Energy Star rating! 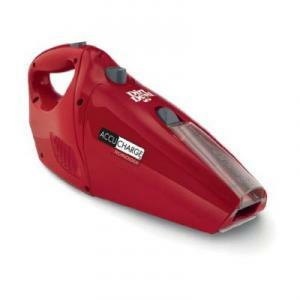 The AccuCharge system charges twice as fast so you can be ready for any quick pickup with 15.6 volts of cordless cleaning power. When the unit is charging, the AccuCharge circuitry constantly monitors the battery. Once the battery is charged, power is reduced to a trickle to maintain the battery without drawing extra power. This remarkable system reduces energy consumption by 70% and extends the life of the battery.